In 2015, @coin_artist released a strange painting titled “TORCHED H34R7S.” Within this mysterious painting was the key to a wallet address, 1FLAMEN6, which held five bitcoin. The competition to solve this puzzle was dubbed, “The Mystery of Satoshi Nakamoto” and on February 1, 2018, the riddle was solved and the wallet drained. Initially, there was speculation on whether or not the original artist had given up on the project and simply took the funds out themselves, as it had been three years and most had pushed the puzzle aside as unsolvable. However, an official confirmation that this was independently solved is disseminating the crypto space. The artist did not expect puzzle to take so long to solve, though the difficulty of the task is naturally hard to judge by the creator. Interestingly enough, however, the person who did end up solving the puzzle only discovered it about a month before his solving of it. It just took the right type of mind, and a bit of help from the crypto community, to see it through its end. The solver of the puzzle, going by the name Isaac in an interview with Motherboard, ended up stumbling upon the contest by combing through riddles and puzzles involving cryptocurrency as it was an interest of his wife and his. The principal clue to the puzzle revolved around the flames that torched the edges of the painting as well as six ribbons tied around a key in the picture. However, there was a litany of red herring’s including a chess board to throw would-be solvers off the trail. By taking the ribbons and turning them into binary code, short meaning zero and long meaning one, Isaac was already halfway through solving. However, the other half of the puzzle still eluded him. Like many others, he looked throughout the painting for other clues but eventually decided that the flames had to mean something as they looked like a type of code. The puzzle’s resolution managed to build upon the back of a previous competitor known as Trin. Trin correctly deduced the four-bit code hidden within the flames but didn’t know exactly what to do with that information at the time. After a short conversation between the two, Isaac managed to solve the puzzle a short 20 minutes after they spoke. Upon the puzzle’s resolution, @coin_artist was ecstatic; the artist was concerned that they had made a mistake in the painting that would render it unsolvable. Currently, @coin_artist is still making crypto art, with their most recent project being incorporated within the video game Neon District. The prize will be 15 ETH, or about $15,000. Bitcoin enthusiasts aren’t the only ones enjoying the profits of cryptographic puzzles; Viacoin, Litecoin, and Monero have all fournished followers with original cryptographic puzzles to be solved. In the case of Viacoin’s, @coin_artist returned with yet another stimulating image. Successful parties are rewarded with 1337 VIA for their efforts, which, at time of press, equates to roughly $4,572. As this puzzle is still unsolved, attempts are still requested and there is an open invitation to an associated Telegram group for updates and suggestions. 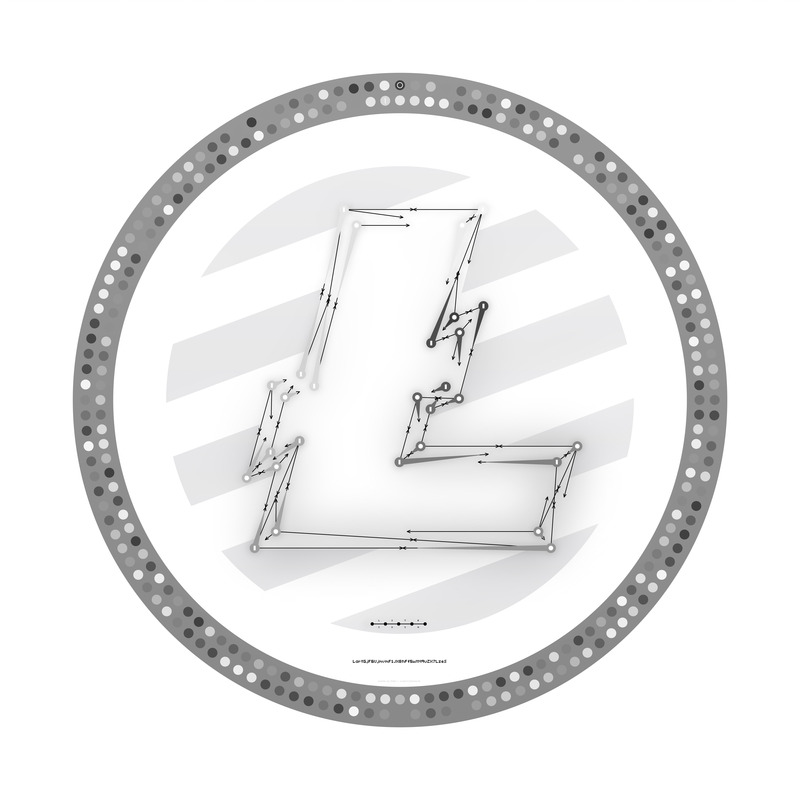 The puzzle tweeted out by Charlie Lee for Litecoin took no time to solve, but the surge of cryptographic puzzles seems to be a recurring trend in the crypto sphere. As with the Monero mind-boggler, @Zd3N created this piece. The solver earned 210 Litecoin, a hefty $47,462 at time of press. The crypto sector continues to offer thought-provoking surprises and the advancement of cryptographic puzzles is yet another installment of a thriving community. Stay on the look out for new projects and puzzles. Another piece offered by Decred has yet to be solved, but perhaps you will be the next to crack the code.